Who is /What is that man? ( ) my English teacher. ( ) is that man, Jane? ( ) an English teacher. 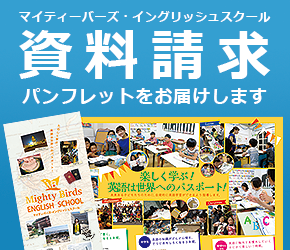 Copyright © 福山・英語教室　Mighty Birds ENGLISH SCHOOL マイティバーズ All Rights Reserved.